A massive congratulations to former camper Dara Howell on her Gold medal win in the inaugural Olympic Women’s Slopestyle event! A dominating win, Dara threw down a super clean technical run, stomping everything and earning 94.20 points. Devin Logan took second place with 85.40. Dara’s teammate Kim Lamarre took home the bronze with a score of 85.00. Watch Dara’s gold winning run HERE. 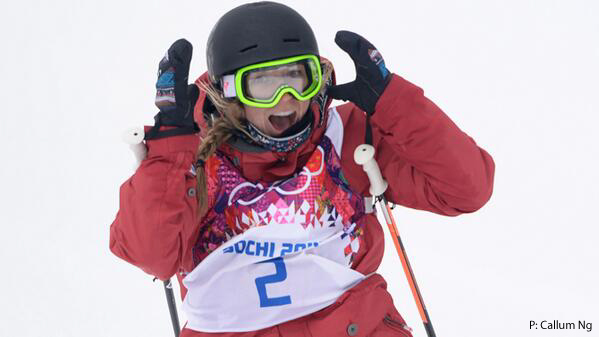 The first time I ever saw Dara Howell ski was a little less than four years ago. 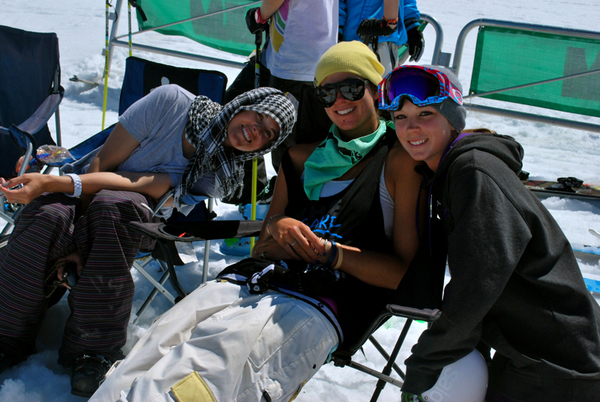 She was being coached by Sarah Burke up at Momentum Ski Camps in Whistler Blackcomb. She was absolutely slaying with huge 450 disasters on and Sarah couldn’t have been prouder or more stoked for her young pupil and fellow countryman. We also would like to wish former camper Yuki Tsubota all the best after her crash during this morning’s competition. Conditions were slow and even after pinning it at the jump, she came up short. Recent news is that she has suffered a broken jaw. We wish her a quick recovery.